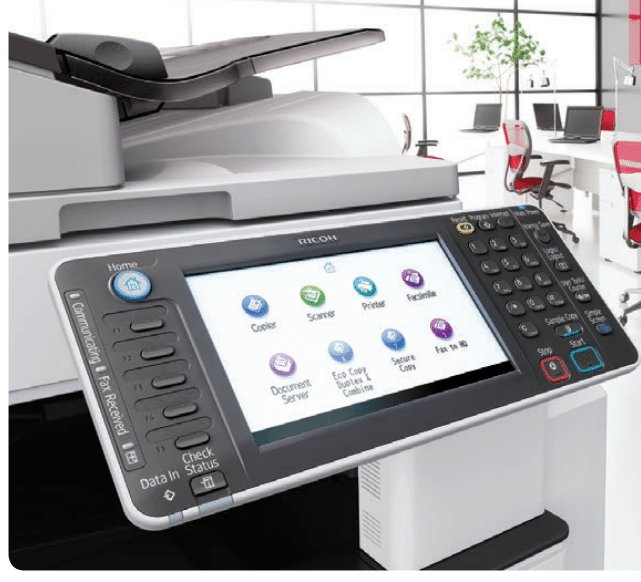 We carry 6 brands of copiers, knowing how our clients like choices. We have desktop copiers as well as floor standing copiers. We can sell, rent, or lease copiers to businesses in the DFW area. One of the coolest things with Epson is their new 100 page per minute copier. We would love to chat with you about how to maximize speed and minimize your costs. We have been working hard with manufacturers too in order to ensure all of our technicians have the experience and education to get your problems fixed right, the first time. If you want to get a copier quote, we would love to help you out. Our prices start as low as $29 a month and can be as much as $500 a month. It is all about finding a machine that works in your business as well as working within your budget. Give us a call to see what copier options we can put together for your Fort Worth business! Kyocera 3552ci – 35 page per minute color copier. Kyocera 5052ci – 50 page per minute color copier. Kyocera 6052ci – 60 page per minute color copier. Kyocera 7052ci – 70 page per minute color copier. Kyocera 8052ci – 80 page per minute color copier.